Have you ever considered that you can set goals with Tarot? So many people believe that Tarot tells the future, but many of you know that I feel very differently. I believe that Tarot helps you create your future by supercharging your vision of what is possible. The cards allow you to align your goals with your purpose, bring your dreams into reality. Powerful stuff, right? 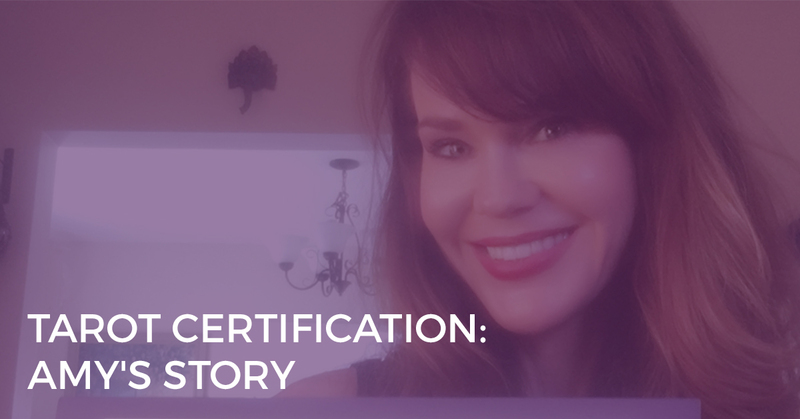 When you map out goals and connect them to your intuition, that’s when you take your manifestation abilities to superstar levels. 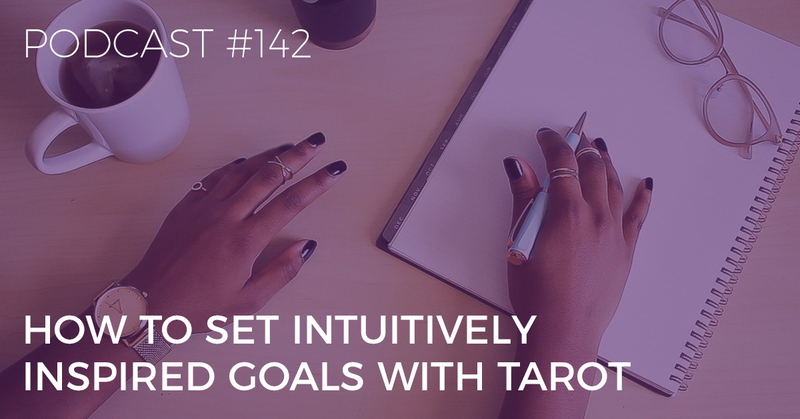 Today, I’m going to tell you how to set goals that are connected to your inner being and intuitive side using Tarot. 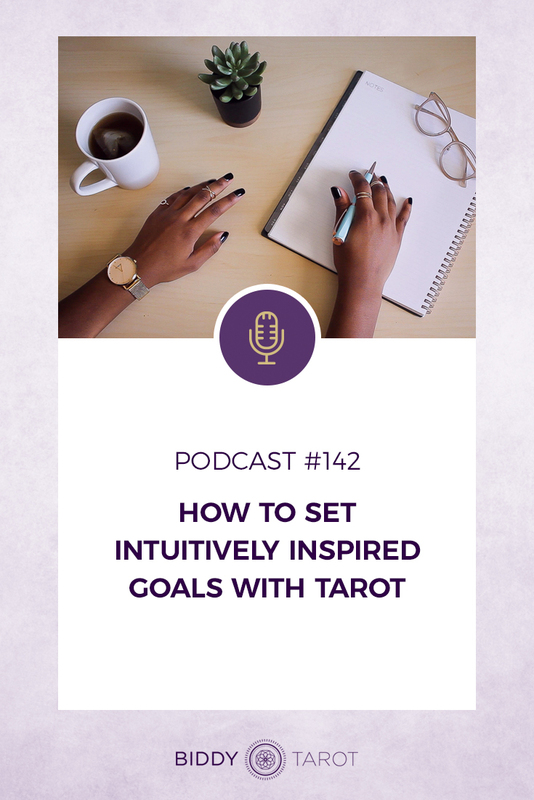 Brigit: You’re listening to the Biddy Tarot Podcast, and this is episode 142, How to Set Intuitively Inspired Goals with Tarot. 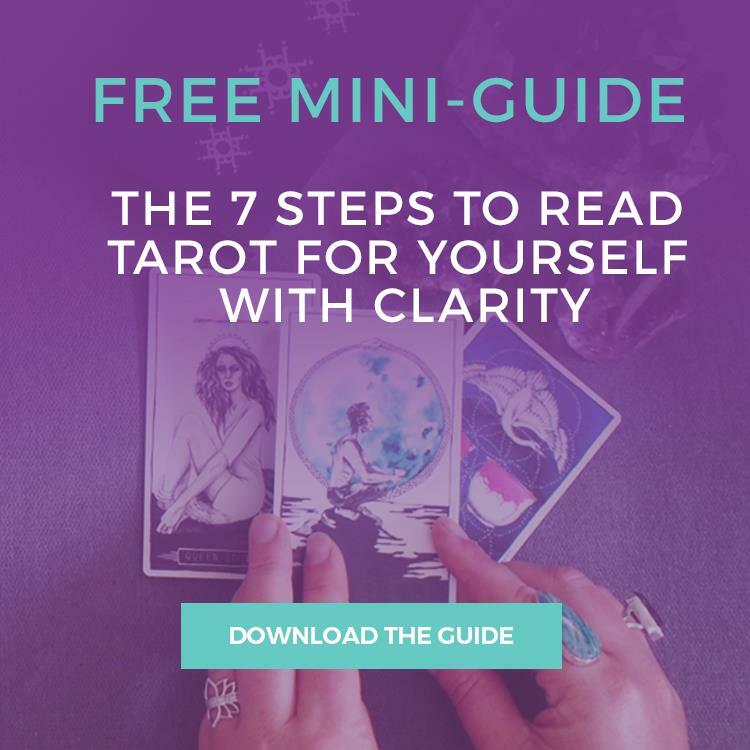 Intro: Welcome to the Biddy Tarot Podcast, where you’ll learn how to connect more deeply with your intuition and live an empowered and enlightened life with the Tarot cards as your guide. Listen as Brigit and her guests share their very best tips and strategies to help you Read Tarot with Confidence. And now, here’s your host, Brigit Esselmont. Brigit: Hello, and welcome back to the Biddy Tarot Podcast. You know what? Many people believe that the Tarot helps them tell their future, but I believe something very, very different. I believe that the Tarot helps you create your future instead. By supercharging your vision of what is possible and aligning your goals with your soul purpose, you can bring your dreams into reality. It’s powerful stuff, isn’t it? And it all starts with getting really clear about what it is that you truly, truly want, not what you think you want, but what is in alignment with your highest self. So I’m not talking about like what your ego thinks it wants, you know, if you’re a bit worried about FOMO, fear of missing out. This is about connecting in with what your higher self truly wants in your life. Now, we often set goals without really checking in with what’s right for us. We think we’re setting the right goal, but as time passes and we go about achieving that goal, we realize that either maybe we’ve set the goal too high and it’s created problems in other areas of our lives, maybe we’ve set it too low and we’re not really fulfilling our like fullest potential, and yeah, we just think that we’ve got this right goal, but because we haven’t checked in on a higher level, we end up feeling a little bit disappointed, or burnt out, or just not really feeling like that goal is yours. Maybe you’re doing it because you want to impress someone. So, today I’m going to be talking about how to set goals that are in full alignment with you, and your inner being, and I want you to know, too, that even though we’re talking about more of the intuitive side of setting goals, I don’t necessarily … It’s not that I think that, you know, traditional goal-setting and planning strategies don’t have a place, because I really think that they do, but what I’ve discovered is that if you set goals without first having intuition, they often fall by the wayside. 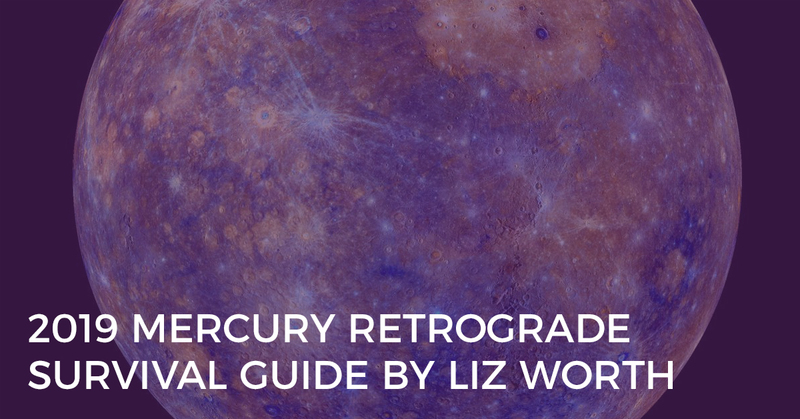 However, when you map out goals and connect them with your intuition, that’s when you take your manifestation abilities to superstar levels, and that’s when you get amazing results. Now, before we get into today’s episode, I want to let you know that today’s podcast episode is brought to you by my upcoming book, Everyday Tarot: Unlock Your Inner Wisdom and Manifest Your Future. So, this book is now available for pre-order over at everydaytarot.com, and it will soon be on bookshelves on September 18th, 2018. I am so excited to be able to bring you this book, because it is not only a really practical guide to using Tarot for everyday life situations, you know, making decisions, career, relationships, soul purpose stuff, daily rituals, and so on, but it’s also a way that has enabled me to share my journey with Tarot, and I have been able to put a lot of my heart and soul into this book, just outlining really where I’ve come from in my journey, and how Tarot has helped me. 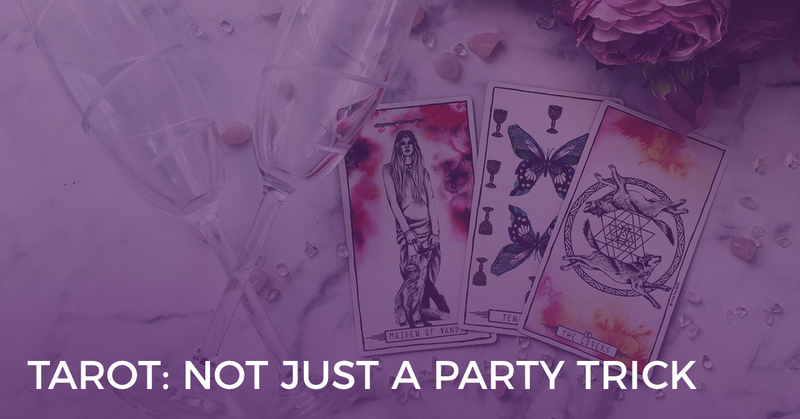 And of course, this is now my opportunity to help you really connect with Tarot and connect with your intuition, so that you can start to create and manifest awesome things in your life too. So definitely check it out. It’s at everydaytarot.com, and you can pre-order now or you can also go to your favourite bookshop, hopefully, and they’re stocking it on their shelves, and if they’re not, demand answers and make sure that they order them very, very soon. Okay, so today’s episode is also really inspired by Everyday Tarot, in fact. One of the chapters is all about manifesting your goals, and what I share with you today, you’ll find in more detail in the book as well. So, everydaytarot.com. All right, beautiful. So, back in 2012, my family and I, we manifested our dream holiday, and it was a six-month adventure in Spain, and it was a little bit scary, making it happen, but we felt so compelled to do it, and I’m so glad that we did. So part of this six-month trip, we traveled around, we lived in small, Spanish towns, learning the language and really experiencing the local culture, super, super lovely. And while we were doing this, I was working remotely on Biddy Tarot, while also exploring new places and spending quality time with my family, so totally a dream trip, in my opinion, like mixing up work, travel, and family. Just perfect. So, one day, I was sitting at a picnic table, near the beach, with my laptop, as I did. Like, literally, that was a lot of my days were spent that way. I was sitting there, and I was thinking about what is possible with my business at that point, and it was such a lovely setting. It was the perfect place to do a little bit of that soul dreaming. Now, I’d already started to make a few things happen in the business, and this was like literally just a month or two before I made that big decision to quit my corporate job and do this full time, so things were happening, but I also wanted to get more intentional about my next steps, and my goals in the business. So, the year before, in 2011, I’d created an income of around 100,000, through my Tarot business alone, which was pretty awesome, given that this was the amount I was earning, or just under, in my corporate career, and it was all being done at the same time as traveling, and having a family, and living the life, and all that good stuff. But, of course, I’m a bit of a high achiever, so I was thinking, “Okay, 100K is great, but how do I get bigger? How do I make this even more financially successful?” And I was really, really ready to go to that next level. So, I wanted to set my financial goal for the year ahead. Now, I could aim to make the same amount, another 100K. You know, that’s a great salary in most people’s books, so I was already ticking the box, or I could reach for 150,000, which was an increase that felt achievable given the results that I was achieving in the business. Or, I could even go and double the income, with 200,000, and that was a thought that sent a jolt of excitement through my body. Now, of course, it’s not all about the money, and there’s not really much point in manifesting a million dollars when it all comes at the expense of spending time with loved ones or working 90 hour weeks, and as I thought about my financial goal, I also wanted to make sure that I was taking into consideration my other personal priorities. You know, again, like especially when you’ve got a business of your own, you create the rules. Like, you create it. You get to decide how it’s going to be, how it’s going to feel. And, there’s no point just raking in the big bucks if you’re going to feel crap. You know, if you’re working late hours, if you don’t get to spend time with your family. So, I wanted to make sure that I could achieve great things financially, but also in a way that would allow me to sustain and even improve my lifestyle that I’d created, which for me meant more time with family and more travel, and just, you know, a comfortable lifestyle. So, I did what any normal modern day mystic would do. I pulled out my Tarot cards. So, I moved onto the next amount, which was 150,000, and for that amount, I drew the Page of swords. So it’s this young guy, holding his sword up towards the sky, and as a page, he’s learning to create something new, and as a sword card, he’s focused on communication and the intellect. So, when I saw this card, I thought, “Okay, if I strive towards 150K, it’s great, because I’m going to be learning new ways of expressing myself, communicating, and also, like, exercising my mind,” which was really important. So it was enough to keep me engaged intellectually, and also would offer new opportunities to communicate with my audience and just kind of get myself out there a bit more. But, the thing with the Pages, as you know, Pages are at that very early stage of development, and seeing a Page with that goal, I thought, “You know what? Yeah, I can do it, but I feel like there’s something more. There’s more than this. Like, there’s so much more to lean into.” So, I moved onto the next goal, which was 200,000 in my business for the following year. And, for this amount, I drew the eight of pentacles. Now, you know with the eight of pentacles, there’s a man. He’s working hard. He’s etching pentacles into a series of discs, or coins, and from this kind of card, it shows just really working hard, and like pushing it, and getting the job done. So this time, I pulled the Queen of Pentacles. I was like, “Whoa, yes. This is it.” You know the Queen of Pentacles. She’s like the quintessential working mom, or your mompreneur. She has her stuff together when it comes to dealing with family and home, and she’s a very smart businesswoman, so I thought, “Wow, okay. 250K is actually feeling really good now,” and it would allow me to really nurture and nourish my family, not just energetically but also financially, that maybe I could be the breadwinner here, and in fact, at that point I think I was. Yeah. Yep, and have continued on that way since then. Like, sure, you know, the money might even pay for a really fancy house, but what’s the point if I can’t spend it with the people that I love, and the people I want to care for, and so on? So, that got me to the point of going, “Right, 300K is probably a little bit too far out there, and it’s probably going to come at the expense of my family,” which is not really what I wanted to do. So, you can see that these cards just helped me kind of calibrate my goals, not just with what I thought was possible, but with what was more in alignment with my higher self. And, you know, what’s really neat is when I went on to 2013, I ended up creating 250,000 in the business then, and I tell you what, if I hadn’t turned to the cards to guide me through this process, I probably would have stopped at maybe 150,000 or 200,000, because it felt safe. It felt within reach. But what I love about this process is our higher self knows our potential, and it wants us to fill our potential, and when we connect with our higher self, we see where that full potential is, and it’s often, like, so far out of what we think is possible, and I don’t know about you, but for me, like when I’m sort of reaching into new territories, all I need to know is that that is a possibility, and then I can go for it. Even if it’s like a really big, big goal, I can see that it is possible, and I can step into that possibility, and I can expand into it. I didn’t really need to know how to get there, that stuff. I’ll figure it out as I go. I just want to like feel into that possibility. So that’s the beauty of using Tarot and intuition when you are setting your goals. So, let me talk you through exactly how you can create your own intuitively inspired goals, and with your goals, you might be thinking about business. If you run your own business, awesome. You might do a very similar process to what I did. I even actually used this process for things like launches, and how many people we aimed to attract in our launches. I can do it around revenue, and profit goals, and so on. So, you might want to choose around that space, or, alternatively, you might have some more personal goals. Maybe it’s a health goal, physical health. Maybe it’s about making new friends, if you’ve moved to a new area. Maybe it’s about finding a house, or how much you can spend on a house. So, what you really want to do is first just close your eyes and allow yourself to dream big about your wildest dreams and goals. Like, what is it that you really, really want to create in your life? Now, it might be, again, in your relationships, in your career, in your business, wherever. And, when you’re in this dream space, really visualize what it is that you want to create. Imagine as if your dream is playing out like it was on a movie screen in your own mind, and really feel it. Pay attention to your emotions and your feelings, as you watch this dream come to life, and feel that excitement, the inspiration, the motivation, even the tingles of fear that might come through, and notice where these dreams arise within your body. Do you feel your heart swelling with happiness? Is your chest rising with pride? Are there butterflies of excitement filling your stomach? So, really, in this first step, it’s about dreaming big and dreaming what’s possible, and just expanding and stepping into that space of possibility, and just allowing yourself in there, no sort of censorship, no fear coming in. Just allow it and dream big. Okay, so then the next step is to create your stretch goal. So, once you’re within your big dream, it’s time to create that stretch goal, and with this, it’s simply about writing down what is your one goal. Like, what is it? And, don’t really worry if that stretch goal feels a little bit out of reach, or it’s even a little bit scary. That’s the whole idea of this thing. See, if we hold ourselves back from our wildest dreams, then we’re not even allowing that possibility that they could happen. So, really let yourself dream big here. And, yeah, so just write it down. What is that big goal that you have in mind? Now, step number three is to create a smart goal. You might have heard the smart goal methodology before. So, it’s really about creating an intention that is specific, meaningful, something that you can agree to, attainable, realistic, and within a specific timeframe. So for example, if your goal, like your stretch goal, is to become the queen of macrame, and decorate your home with your artwork, like mine is quite recently, your smart goal might be something like, “Okay, by July, I’m going to learn how to create my first wall hanging, and by the end of the year, my home will be filled with at least five beautiful macrame artworks.” Job done here. I think I’ve almost run out of space on our walls at home. Okay, brilliant. So, as you’re creating a smart goal, realize that you’re probably using your rational mind here, so you’re thinking it through, and sometimes your ego can come in here and start to drop in a bit of fear, or maybe it might say, “Well, I’m not sure that that’s possible.” Like, if you get into any of that sort of obstacle space, just say, “All right, thank you ego. Thank you fear. I can hear you.” Now let’s just get on with this, because I really want you to expand into that possibility, and not really censor yourself. Just allow it to be. Now, also, your intuition might also chime in here, but I really want this to be the time for your rational mind to come into it, and really set some specifics around what your stretch goal is. All right, so step number four. Now you can let your intuition come into things. So this is about intuitively calibrating your goals. So, this is really where you get to go to the next level and align your goals with your highest good. So take your smart goal, and ask your higher self, “To what extent is this goal in alignment with my highest good?” So, you can draw a Tarot card to support you in this process. So, if it’s like that you want to have five macrame artworks in your home by the end of the year, draw a card and find out, like, “Is this in alignment,” and this is where you start to get that feedback around is it in alignment? Is this something that you truly, truly desire, that you want to have in your life, that is going to serve you on a really deep level? And it’s also an opportunity to find out if you’ve taken it a bit too far. So remember when I was setting that goal of 300K, or experimenting, or playing with that goal of 300K, the 10 of cups reversed was showing, “Nuh-uh, Brigit. This is too far. You need to slow down.” So, using the Tarot cards at this point can really help you sort of calibrate that goal. Now, the other thing is, like let’s say if you said, “All right, well five macrame artworks,” and the card said, “Yeah, yeah, you can do it pretty easy.” Well, then you go, “Okay, well what about 10? What about 15? What about 20?” And this is your opportunity to start to expand and stretch your goals even more, and use the cards to calibrate. So, just like I did with my business, 100K, what’s that look like? 150, 200, 250, 300, and so on. Now, step five is to finalize your intuitively inspired goal, so once you have that final goal that you’ve calibrated with your higher self, and you have that feedback around what’s going to be most in alignment, then tune into your intuition once again, and ask yourself, “Okay, to what extent is my goal in alignment with my highest good?” And really focus your attention within, and check in to see how you’re feeling about your goal. What’s your energy around it, you know? Do you sort of feel a bit of excitement around that goal? Then, I also encourage you to say that goal, that intention, out loud. You might need to do it a few times. So, this is what I’ve seen happen with others, when they’ve gone through this exercise. The first time they say the goal, it’s kind of like, “Oh, I’m going to make five macrames.” Or, you know, like kind of get a little bit shy, or embarrassed, or think that, “Oh, maybe I can’t do it.” You can hear it in the voice, too. That’s the other thing. You can really hear it in the voice. And so, when I’ve done this exercise with others, I’ve said, “Okay, no. Say it again,” and I’ll keep asking for them to say it again and again, until it is said with true conviction. So, when you speak your intention, or your goal, out loud, say it with true conviction. And then, what I love to do is write it on a piece of paper. I do this for launches, actually. I write it on a piece of paper. I’ve got these beautiful, like, big gold sequins, and I make up kind of like a mini-altar on my desk, and I put the gold sequins around it. I’ve got some like pyrite, which is a really lovely gold color, put some, like, amethyst, because the purpose, the citrine, and I just jazz up this little area with my goal. And then, I get to see that every single day, until it manifests, and I tell you what, it does. We’ve done this with many of our launches in the past, and I’m not kidding you, we are usually within like one or two enrolments of what our original goal was. So for example, we set a goal for our Master the Tarot Card meetings course. We were like, “Okay, we would love to welcome in 250 new students.” I always say 250+, because I like to give the universe some room to bring in a little bit extra if he or she wants. But yeah, so we set the goal of 250, and when we wrapped it up, 251. Like, it’s crazy. This happens so frequently, where we’ll set the goals and they manifest. And I’ll tell you what, it’s because I go through this process of intuitively aligning my goals, and then I have them in clear vision, so that those goals, they just become natural. Like, of course that’s what we’re going to do. Like, it’s already written. Like, there’s no other option. That’s what it’s going to be. So, I would love to invite you to try this out too, if you’ve got some big goal-setting coming up. Bring your Tarot cards into it, use them to calibrate your goals and align them with your higher self, and you’ll find that you start to manifest things in a really neat and beautiful, beautiful way. Now, just remember that the book, or my book, Everyday Tarot, is coming out very, very soon, so pre-order your copy now at everydaytarot.com, and if you enjoyed this podcast episode, you’re going to love the book, because it’s filled with things like this, as well as, you know, how do you make decisions with Tarot, like making choices, creating those inspiring career, fulfilling relationships, daily ritual, like all the good stuff. You’re going to love it. So, check it out, everydaytarot.com, plus it comes with a Tarot deck as well. Oh, and speaking of which, this part is really neat. So, next week, my very special guest is Eleanor Grosch, and Eleanor is the illustrator of the Everyday Tarot deck, so Eleanor and I are going to be shooting the breeze about how we created the Everyday Tarot deck. And Eleanor’s going to go into a lot more detail about her inspiration, and how we kind of like really combined our energies so that this deck could come into being. So, check that out, and until then, have an awesome week, and I’ll speak to you next time. Bye for now. Order your copy of the book and deck now at everydaytarot.com.